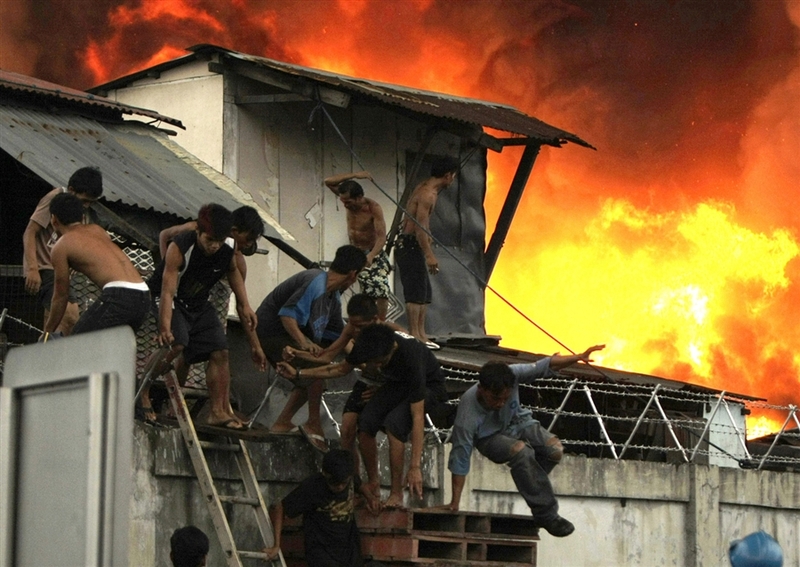 The Big Wobble: A massive fire in Manila shanty town leaves 15,000 homeless! 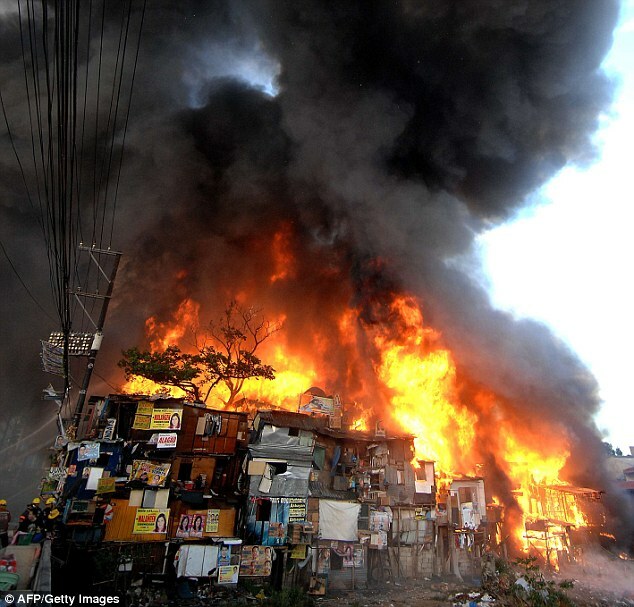 A massive fire in Manila shanty town leaves 15,000 homeless! About 15,000 residents of a shantytown beside Manila's port have lost their homes in a fire that raged overnight before being put out Wednesday morning, officials said. Fire department officials said 1,000 homes were gutted in the sprawling Parola Compound, where several families often share tiny houses running along narrow alleyways. Fire officer Edilberto Cruz said seven people suffered minor injuries in the fire that broke out Tuesday night then quickly spread. Three evacuation centers were opened, and food and water are being provided to the 3,000 families who lost their homes, said welfare officer Regina Jane Mata. But hours after the blaze was put out, many of the people were still huddled on a nearby road with their belongings, including clothes and even washing machines and electric fans. The fire snarled traffic, blocking delivery trucks going to and from the port and affecting the flow of vehicles in nearby areas.